I was browsing through our archives of “The Lion”, looking for a particular photograph, and stumbled across these articles about a probing member survey of our organisation – in 1973! I remember 1973 as the year my twin brother and I explored the railway land beside our house with our remote-controlled tanks (with wires). 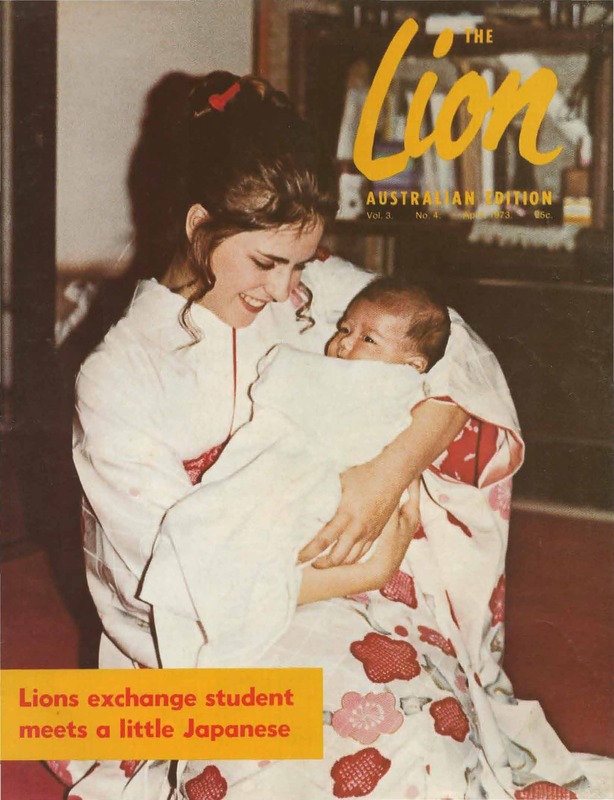 While we were enjoying our youth, the magazines captured many now familiar faces of Lions, working hard at community service, as they do today. Membership is a tricky issue for our organisation, and we have as many differing viewpoints as we have members. If you read these older magazine articles, you will see that feature has not changed over the intervening 38 years! Much as I am champing at the bit to share my viewpoints about the members’ comments from 1973, I will resist the urge. Our differing perspectives on what is the right or wrong way to manage our membership, is as much about our values as it is about a rational, evidence-based argument. We each need to come to our own conclusions. As you read the articles, however, you will notice some recurrent themes, and I would be concerned that it leads us to a fatalistic attitude about membership management. We are a membership organisation. Everything we do, our successes, our failures and our existence is dependent on the people within our organisation. As such, we will always need to invest resources in managing our membership; thinking about the members we want to attract, working out how to find new members, investigating the best ways to retain and motivate our membership. This is the reality of the type of organisation we are and we should welcome that debate. Our biggest risk and concern should be when we stop thinking and talking about how to look after our membership. The same holds true for our membership strategies. We have lots of successful clubs that continue to do well, and we have some Districts and individual Lions who have demonstrated extraordinary success in growing new clubs. What we need to do is to share these experiences, hear from these Lions and do what they are doing. 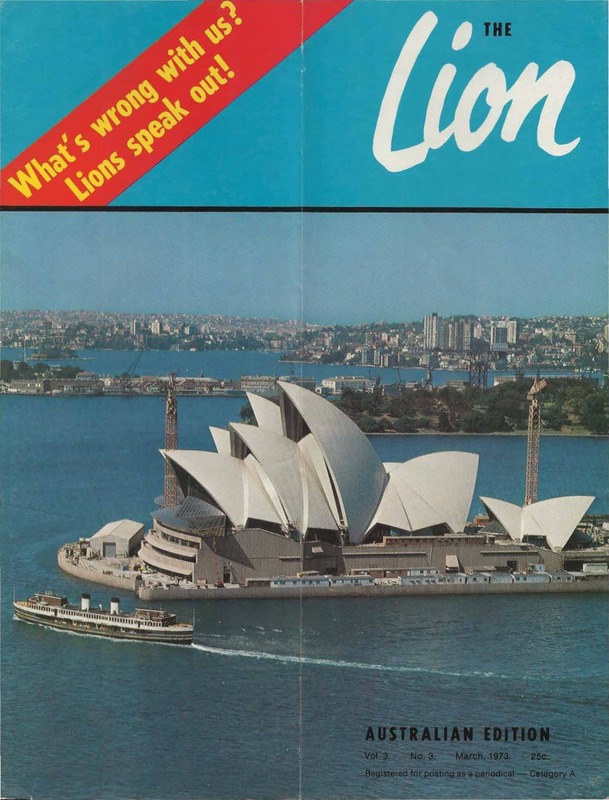 The benefit of looking at the 1973 magazine for me, is it shows those Lions reflecting the same issues and concerns as we now do; not enough time, too expensive to be a members, too many fork and knife Lions, not enough community service…yet they managed to grow the organisation from 1973 and achieve great successes. The comments of the members in 1973, like our members today, reflect that we need to continually assess how we operate and manage our organisation at a club, district and national level. We still have much to offer, but we need to make sure we are relevant to our modern, Australian community. The cover in March 1973 is of the Sydney Opera House in the final stages of construction. I remember my parents took our family to the opening, and we watched Rolf Harris play his grand piano, perched on the top of the largest sail. I remember too, the constant debates about what a ”white elephant’ it was likely to be. Yet now the Sydney Opera House and its neighbour, the ‘Coat hanger’ are global and universal symbols for Australia. Lions clubs remain a strong and contemporary symbol for the best qualities in humanitarian endeavour. When I look at the great stories that flash by every day on our Lions Facebook page, I don’t doubt our continued prospects for success and achievement.